Ask making a lovely warm cushion! 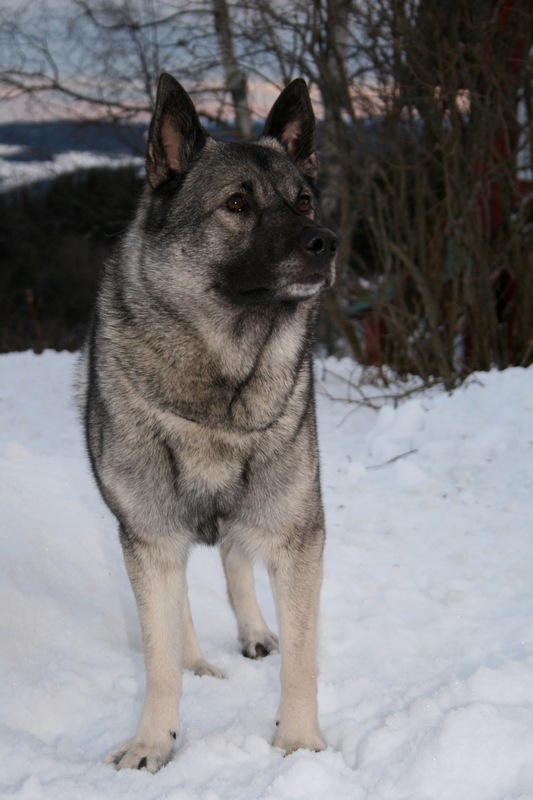 Ask is a working løshund hunting dog and has had great success for his owner Edvard Bjørge. 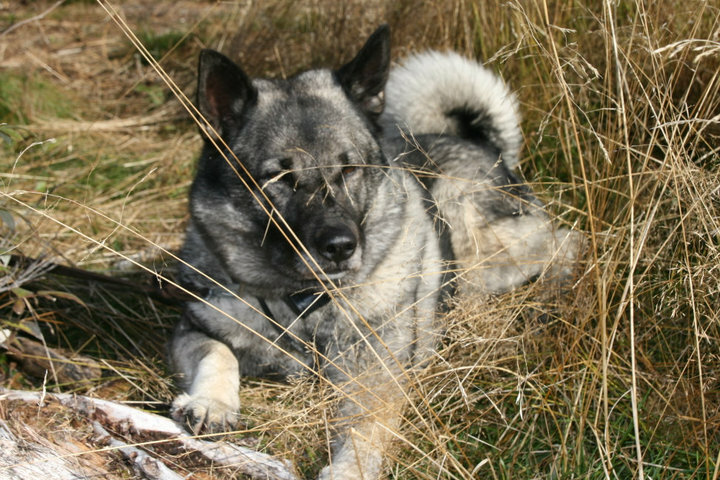 He won a 1st prize at a løshund hunting trial and passed his elk tracking examination. Time has not been on his owner’s side to attend further trials. Ask has also attained two 1st prizes at shows. 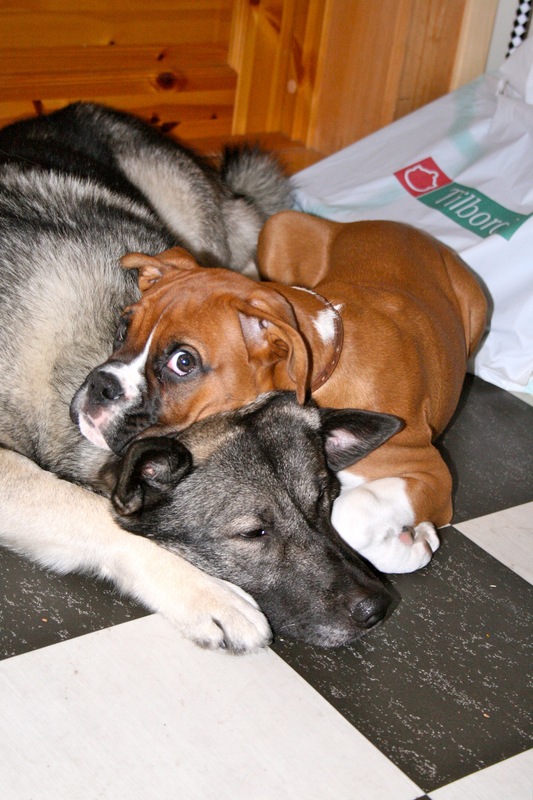 At home, Ask is a very gentle and affectionate dog who willingly shares his home with his Norwegian Elkhound companion Frøya and a Boxer called Emma. 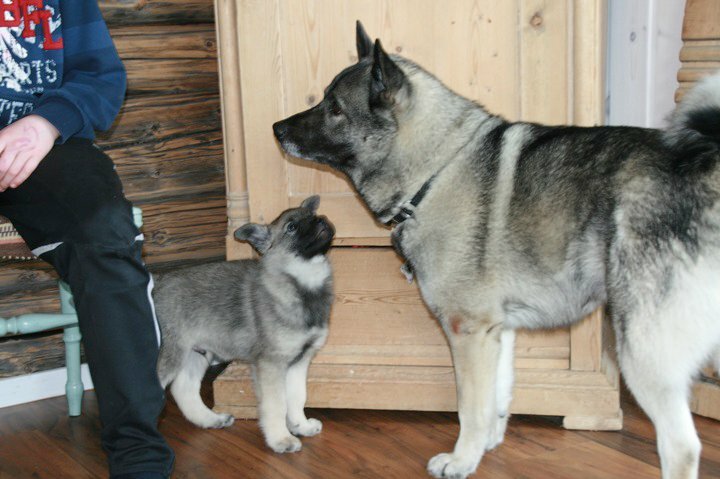 1st April 2010 – Ask meets his son Laban who stopped by for a break before continuing his long journey with his owner, Arild to the far north of Norway. This is your son, Laban! Laban, say hello to daddy! Oh daddy you are big. I guess I should look up to you!